Every now and then we'll put some news in here to keep you informed about what's going on. The club is very excited to announce that the construction of 6 new light towers will begin soon after Easter this year. Mitchell Shire Council, Broadford Secondary College and the Mitchell Rangers Soccer Club have worked tirelessly to achieve this outstanding development, and thanks must go to the Victorian State Government for their much-appreciated funding grant. The new light towers will give the club access to more lighted area for training during the dark winter months, as well as the opportunity to play night matches. 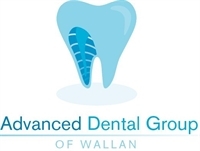 Keep checking this page for more progress reports as construction begins. 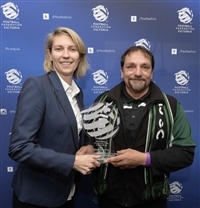 One of Mitchell Rangers' staunchest supporters, Paul Sirianni, was recently awarded the FFV Volunteer of the Year for 2017. Congratulations Paul - A well-deserved recognition of everything you do for the club. Broadford Secondary College students and Mitchell Rangers Soccer Club will be able to play sports into the night with the Andrews Labor Government's upgrade to the lighting on the school's sporting facilities. Labor Upper House Member for Northern Victoria, Jaclyn Symes, today joined students and club representatives to announce that funding of $121,275 has been allocated to upgrade lighting on Broadford Secondary College's sports oval in partnership with Mitchell Shire Council. 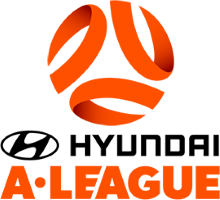 Ms Symes had worked closely with the Mitchell Rangers Soccer Club, Broadford Secondary College and Mitchell Shire to secure the funding. "I'm very proud to deliver this project as it not only assists Broadford Secondary College students with their sporting and recreation activities but also provides the growing Mitchell Rangers Soccer Club even greater training and playing opportunities," Ms Symes said. "Having lighting will open up significant new opportunities for both the school and soccer club". "We want our students and clubs to be as active as possible and improving facilities like this means that everyone in our community can benefit"
"This project will help to build a sense of community pride and value in the school by bringing together local neighbourhoods and making local services more accessible". 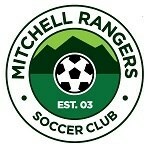 "It also allows the Mitchell Rangers Soccer Club to train under lights and grow its club even further". The Labor Government's Shared Facilities Fund aims to open up school facilities to the greater community - this is a win-win as schools get upgraded facilities and residents get access to fantastic infrastructure to grow their clubs and activities. The funding is part of the $50 million Shared Facilities Fund, announced in the 2016-17 Victorian Budget, which helps build much-needed new community facilities on school sites across Victoria and fosters closer relationships between schools and communities.